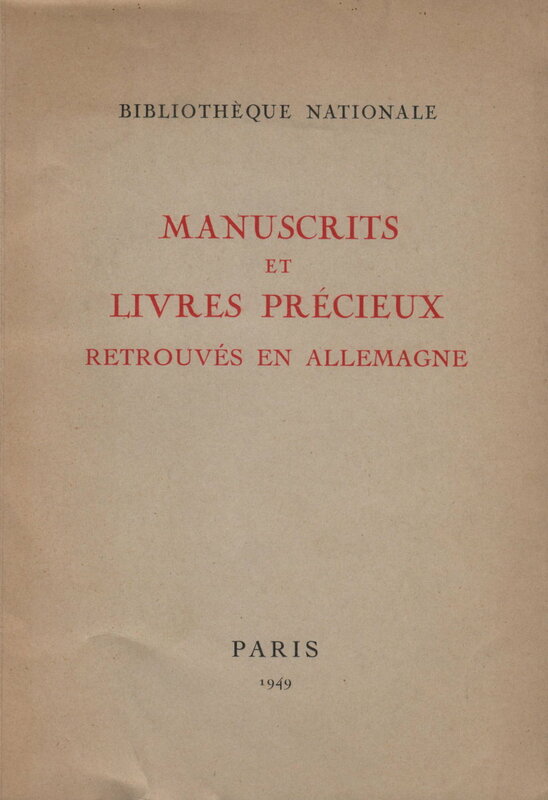 My recent posts about manuscripts recovered from Germany after World War II seem to have been popular, so here is another, consisting mainly just of images of the catalogue including its brief preface, followed by a few identifications. 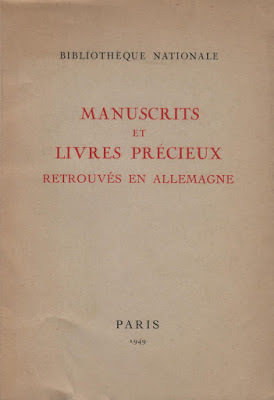 Manuscrits et livres précieux retrouvés en Allemagne: Exposition organisée par la Commission de récupération artistique (Bibliothèque nationale, Paris, 1949). 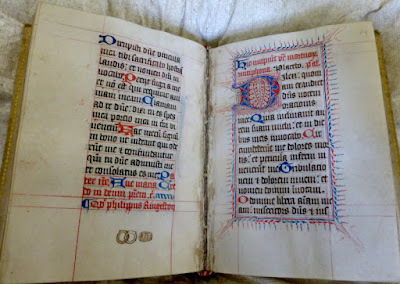 In a post almost a year ago I mentioned that one of the most interesting things about a cutting at the LA County Museum of Art, is what the text on its back tells us about the parent manuscript. 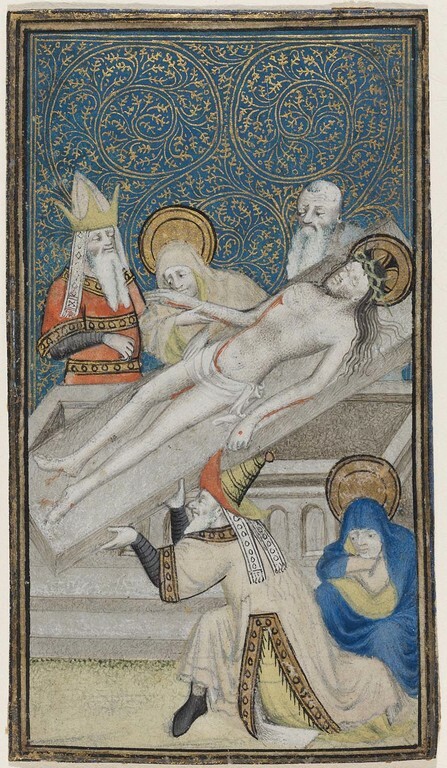 I was recently able to see the four sister cuttings at the MFA, Boston, and a Conservator there kindly relaxed the hinge of the Entombment miniature (43.215) for me, so that the reverse can now be seen and photographed more easily. 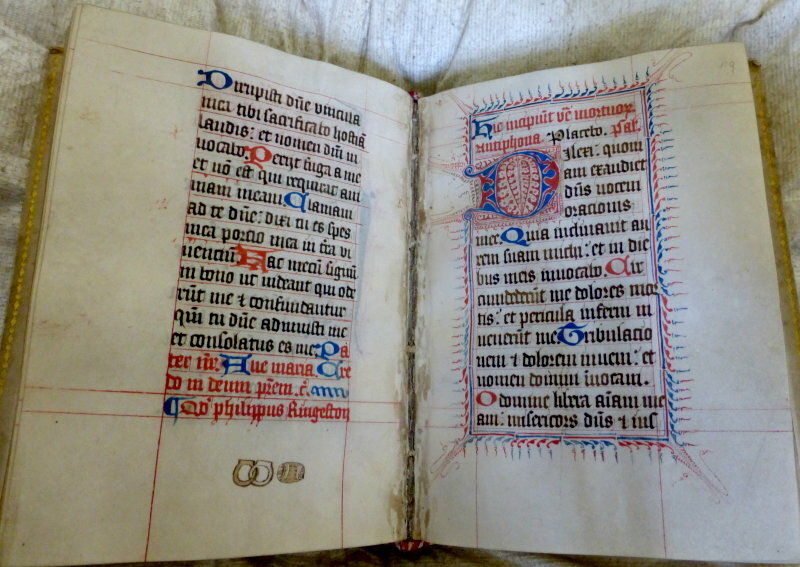 Looking through old photos taken on a visit to Bristol Reference Library I came across my pictures of their MS 11. "120 Baptism of Christ. An interesting and early miniature of John Baptising Christ (140mm. by 95mm.). On the left is John the Baptist ... In the centre the figure of Christ in Jordan ... On the right an attendant angel with towel. On the back of the miniature is a large and finely designed initial B in burnished gold on a blue ground ... Germany, XIII Cent."